There are so many reasons to buy a home in St Augustine, Florida and Education from kindergarten to high school graduation is first on the list for many home owners. 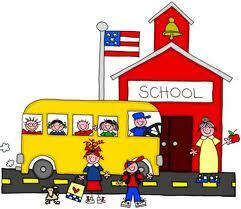 One of the major considerations for buyers with children is the school system. You can even find out in which school zone the home you’re interested in buying is located, just type in the address on the School Attendance Zones Locator web site, http://www.gis.bocc.co.st-johns.fl.us/schoolaz2/ This web site is a magnificent convenience and will give you the results for Elementary, Middle and High School, pertaining to that specific address. Along with this information, each school is hyper-linked and will take you directly to their website. With this easily assessable knowledge you will be well informed and confidently prepared before you sign that purchase and sale agreement. In 2011, St. Johns County was First in overall ranking out of 67 counties on the FCAT. Our county was recognized for being in the top 16% of our nation in “what parents want in public schools.” Our school district even received the award for, Energy Star Top Performer and Leader, from the EPA for energy savings; this was the second year in a row and the only district in Florida to win. Take advantage of all St. Augustine Florida has to offer, our great school system, it’s beautiful beaches, historic downtown, and a variety of activities like horseback riding, fishing and jet skiing, to name a few. There are so many things to see and do here in St Johns County; after school of course!